Small and medium-sized businesses that want to cut costs and yet remain flexible in an ever-changing business climate. Making the most of our highly flexible terms. We can accommodate a wide range of businesses including branch offices and spaces for training or special projects. Plus, you can set up virtually overnight. Available for teams of any size, we provide more than just an office. Let us take care of the cleaning and maintenance while providing professional support services, well-appointed offices and meeting rooms, and of course, free parking. Our office spaces are designed to meet every need you may have whether you need a conference room for client meetings or a business professional who needs a private office. No long-term lease, no full-time administrative staffing costs and no need to buy expensive equipment. 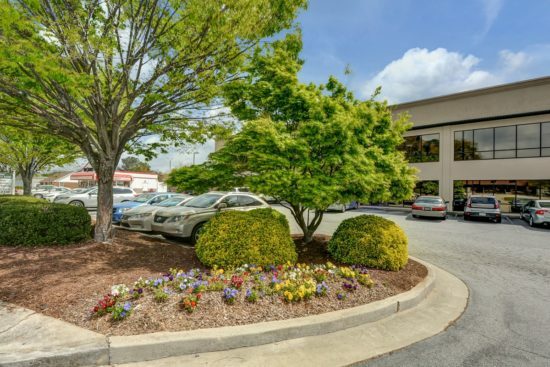 Scenic Office Suites offers ready-to-use offices in Snellville when you need them. Scenic Office Suites offers more than just private office spaces. Our professional staff will handle all of the support staff services so you can focus on your business. We provide a full-time professional receptionist to answer calls and greet guests. A local, business mailing address will help your business achieve a professional, polished appearance. It’s also a safe and dependable way to receive and send packages and mail, especially when traveling out of town on business trips. With easy access to GA-124 and GA-20 to Lawrenceville, you can house your office in the perfect spot. When it comes to convenience and visibility, our location is hard to beat. 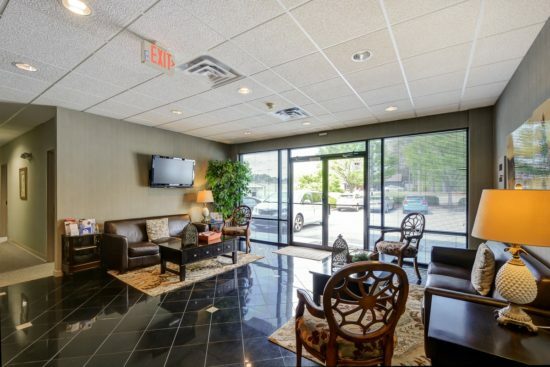 Scenic Office Suites is located in Downtown Snellville making it easy for your clients and customers to find you.There are numerous dining options nearby as well as the Snellville Towne Green—all are within easy walking distance from Scenic Office Suites. Our Snellville conference and meeting rooms are located 35-miles east of Downtown Atlanta and offer the ideal business environment for meeting with your out-of-town or Atlanta-based companies and clients. Group meeting spaces have a comfortable, yet professional atmosphere sure to impress your customers and clients. Why choose a Scenic Office Suites virtual office? A home address is not always suitable for many types of professions and may not have the professional image you’re business needs to be successful. We offer private offices, flexible spaces, and conference rooms to support any business. © Copyright 2019 Stein Investment Group. All rights reserved.